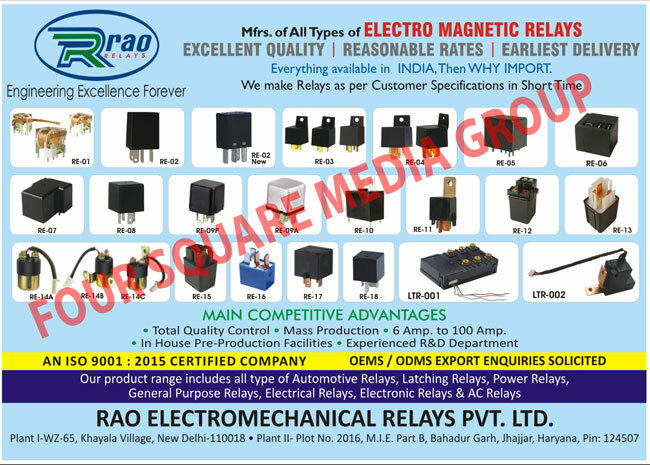 Electro Magnetic Relays, Customised Relays, Customized Relays, Automotive Relays, Power Relays, General Purpose Relays, Electrical Relays, Electronic Relays, AC Relays, Latching Relays,Automotive electrical parts, Automotive Brake Lights, Automotive Fuse Holder, Automotive Halogen Bulb, Automotive Harness, Automotive Ignition Module, Automotive Ignition Parts, Automotive Lamp Parts, Automotive LED Lamp, Automotive Lighting Harness, Automotive Lighting Parts, Automotive Miniature Lamp, Automotive Starter Parts, Automotive electronic parts as an active Manufacturer, Supplier, Dealer, Distributor, Trader and Seller etc. (*Importer/Exporter/Service Provider). © Copyright 2019. 99autoflash.com, All Right Reserved.